Congratulations to Lindsay O'Brien and husband Dan, who welcomed Eleanor "Nell" Donaldson O'Brien on September 17. Although Dad, an accomplished high hurdler, has been working with Nell on her trail leg mechanics, GRC coach Jerry Alexander indicated that Nell's future undeniably lies in distance running, like Mom. Nell declined to comment. Earlier this month, an unnamed Pacers/GRC-NB harrier broke the 20-mile "record" at Duel Ferries, formally held by the turncoat Chris "Benedict" Sloane. The individual did not wish to make a "big deal" about it, as it wasn't his intention to get the record, though he wanted it noted for historical record keeping purposes. This reporter will respect his privacy, at least for the time being, though sleuths can pour over the photo above and attempt to identify the harrier based on his wrist hair and GPS watch model. The runner reportedly hit mile 19 and needed "only a 6:20" to break the 1:57:02 mark that old Sloane ran a few years back. "(Redacted)'s time of 1:56:51 is now the new unofficial Duel Ferries record," noted Duel Ferries historian Jake Klim, who slowly shook his head acknowledgingly between sips of Budweiser. "That's a mighty fine effort, might fine (grunting sounds)." "Duel Ferries," also known as "Dueling Ferries," is a 10-mile loop that starts at Edwards Ferry near mile marker 30 on the C&O Canal Towpath in upper Montgomery County. After reaching Whites Ferry, nearly 5 miles later, the loop circles back on River Road. For nearly a decade, athletes have journeyed here a handful of times a year for a chance at an honest 20-mile tempo. A Pacers/GRC-NB Wire Service reporter reached out to Sloane for comment, but failed to get an answer at time of press. New Pacers//GRC-NB harrier Greta Stults was recently featured in the Pacers Running Blog. Just a few short weeks ago, Stults returned to DC from Switzerland where she was posted as a Foreign Service Officer for the State Department. She began to train with GRC coach Jerry Alexander before she moved abroad and continued to put in high mileage weeks while posted in Switzerland and Afghanistan. As a testament to her strong work ethic and Coach Jerry's training plan, she has been able to drop her marathon PR from 3:40 to 2:59 last spring. 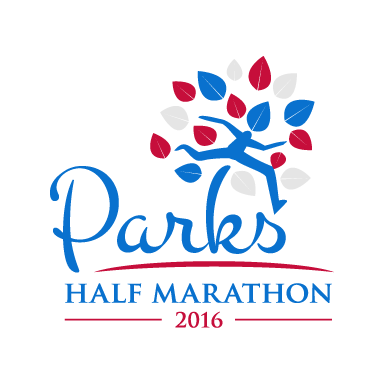 We are excited to see what she can do this November in the Richmond Marathon. "Greta says there was no magic pill that helped her get faster. She opted to surround herself with people who were better than her and asked them a lot of questions on how she could improve. 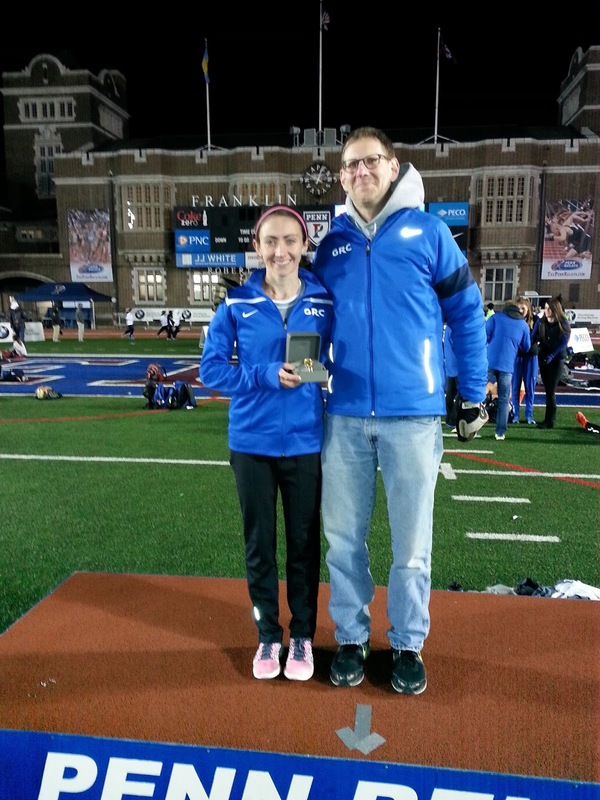 She made running a priority, worked to increase her mileage, and found it helpful to her to work with her coach. There is no one way to drop time but Greta has had great success with her training and now rather than practicing alongside GRC she is practicing with them. Clearly Coach Jerry knows what he is looking at even when the athlete is not always sure." "Now that she is back in DC Greta is training for the Richmond Marathon in November. The humidity in DC has been a rude welcome back from her training in Switzerland. Running in Switzerland Greta says pretty close to the ideal. She regularly ran on the most organized and well-marked trails she has ever encountered. The possibility to run from one side of the county to the other without a map is not even a far-fetched goal. She does not love the out and back long run and would plan a route and take a train 20 miles away and run back. If she overestimated the distance the public transportation there was so good there was no reason to be concerned if her running math was off. 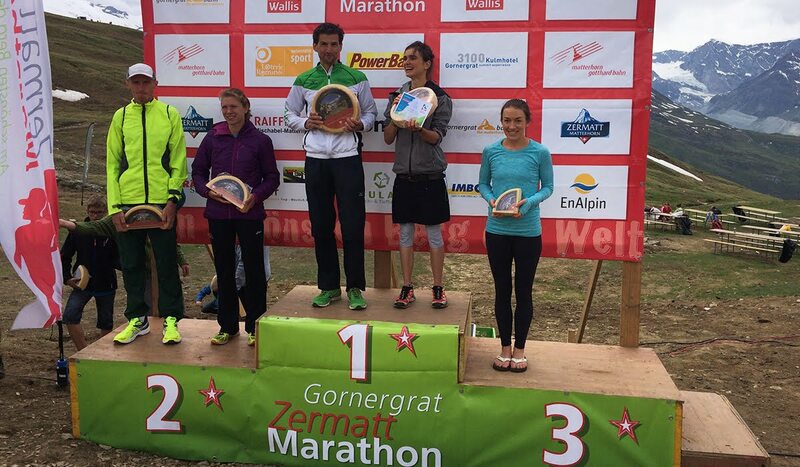 All races were community events in Switzerland each one always had a podium and an awards ceremony. There is always food and celebration yet the field is still very competitive. She won first prize money racing there and at another race won a quarter wheel of cheese!" 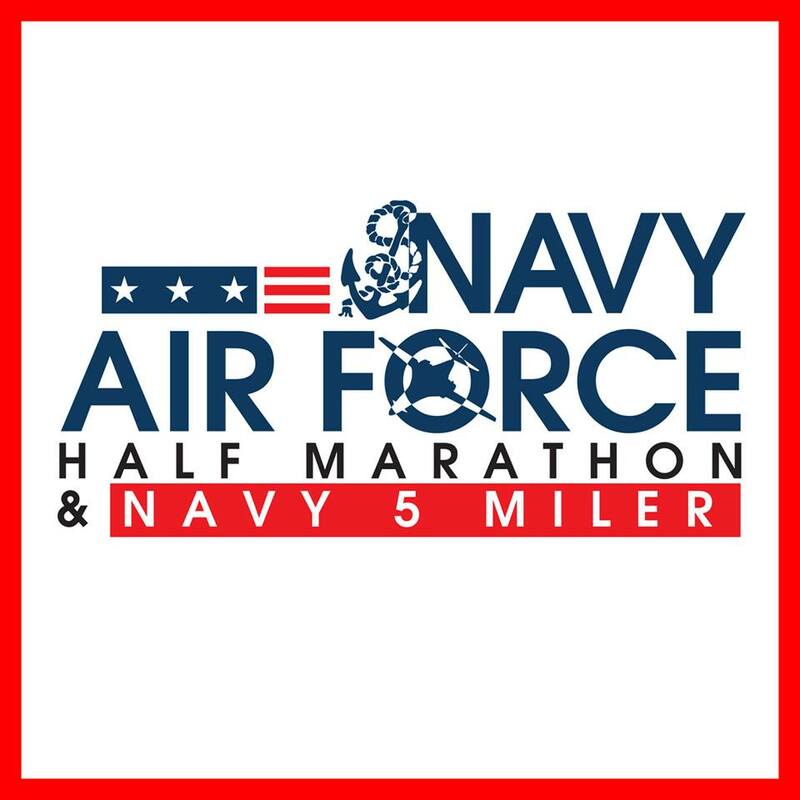 "Training Around the World With Greta Stults"
Pacers//GRC - NB harriers battled muggy conditions over 13.1 miles on the streets of D.C. in the Navy-Air Force Half Marathon on Sunday morning. 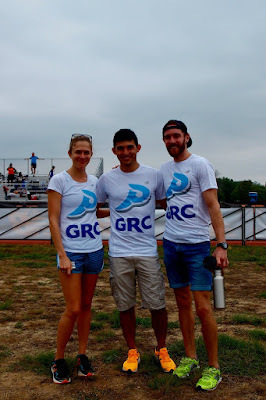 The humidity led to slower times, but GRC held their own with several impressive performances. Davidson graduate Daniel Samet made the most of his GRC debut by winning the race in a time of 1:10:36. Blake Taneff followed him closely behind in third place, running 1:11:16. GRC took three of the next seven spots with David McKay, Charlie Ban, and Kieran O’ Connor finishing 7-9th place. Amy Laskowske had an impressive half marathon debut of her own, running 1:18:06 to finish 3rd. In her GRC debut, Greta Stults finished 39th in 1:34:23. 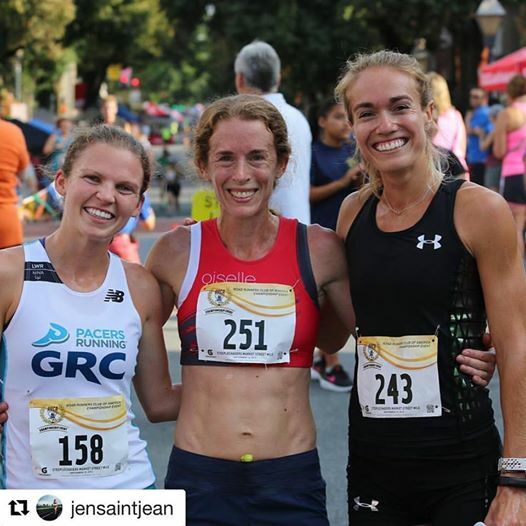 Amid an action-packed weekend filled with several impressive debuts, our own Frances Koons ran her final race in a GRC singlet on Sunday in Philadelphia. For anyone familiar with her legendary Great Edinburgh XC performance in 2015, it should come as no surprise that the aversely hot and humid conditions at the Rock 'n Roll Half were no match for the indomitable Frances. She ran 1:15:29 for 3rd. "Frances's long list of accomplishments includes being an 8-time All-American at Villanova, and competing in two Olympic Trials, in the 1500 in 2008, and the 5000 in 2012. Frances came to GRC in the fall of 2014, and she has put an indelible stamp on our program in her relatively short time with us. Frances made a memorable GRC debut at Clubs XC in 2014 at Lehigh, where she placed 8th in a loaded field, and earned a spot on the U.S. team competing in the 2015 Great Edinburgh Cross Country race. Frances made the most of her first opportunity to represent her country, placing 8th, and she was 3rd American, and beat the reigning European xc champion. Frances also excelled for GRC on the track and the roads, and she holds club records on the track in the 1500, mile, 3000, 2 mile, 5000, and 10,000, and on the roads in the 8k and 10k, and is second on the all-time list in the 5k and half marathon (and for those who want to get technical about it, her 10 mile split on route yesterday was a club record by 45 seconds). Considering that Frances dealt with multiple serious injuries during her tenure with GRC, that string of outstanding performances is beyond impressive. And it goes without saying that Frances's contribution to GRC extends well beyond the numbers. Having an athlete of Frances's caliber on board immediately elevated the entire team in numerous ways, including gaining us national exposure, and greatly helping our recruiting. Moreover, Frances has been a true role model for all of our athletes, men and women, on how to approach training and racing with professionalism, pride, consistency, and dogged determination even in the face of major setbacks. Frances is also a role model in terms of how to handle success, as she is unfailingly humble and self-effacing, and she is always willing to give her teammates the benefit of her vast experience. Finally, Frances is one of the nicest, most thoughtful, and thoroughly decent people I know. It has truly been my privilege and honor to have been able to contribute in some small way to her great success. I know I speak for the entire team when I say we all wish Frances the very best. And speaking for myself, I sure am going to miss that spunky kid!" The Clarendon Day 5k/10k is known for its mostly downhill course and the Pacers//GRC - NB harriers took full advantage with several impressive performances. Maura Carroll started the day off on a high note with a victory in the women’s 5k, running 17:35. UPenn graduate Elyssa Gensib showed promise in her GRC debut by finishing 3rd overall in 17:54. Chelsea Bollerman and Hannah Rowe finished 4th and 5th respectively and all 6 GRC women finished in the top ten. Stewart Reich ran a gutsy race in the men’s 5k to finish second in 14:45, which will put him 4th on the GRC all-time list for the road 5k. David Wertz also ran an impressive race to finish 4th in 15:31 and win the Master’s division. It was unfortunate that Clarendon did not feature a team competition as GRC took 8 of the top 12 places. In her first race in a GRC uniform, Elena Barham made a big statement by winning the Clarendon 10k in 36:16. Keely Eckberg also put together a strong race, finishing second in 38:17. Amy Nichols finished 5th in 39:56. Stewart Reich matched his second place finish in the 5k with a second place finish in the 10k; an incredible display of fitness considering the two races were only an hour apart. Carlos Jamieson, Phil Royer, and Zak Miller finished 4th, 5th and 6th respectively to round out a strong Clarendon Day 10k squad. 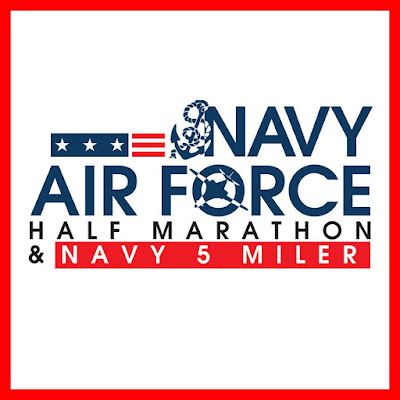 Several Pacers//GRC - NB harriers will look to make a statement in the Navy-Air Force Half Marathon on Sunday morning. On the men’s side, Kieran O’ Conner, Blake Taneff, Sean O’ Leary, Kyle Cooke, Daniel Samet and Charlie Ban will represent GRC. Taneff will be looking for lighting to strike twice after winning the Navy Half in 2015. O’ Conner, the second place finisher in the 2015 Navy Half, will be racing for the first time since his gutsy 24th place finish in the 2016 Olympic Marathon Trials. 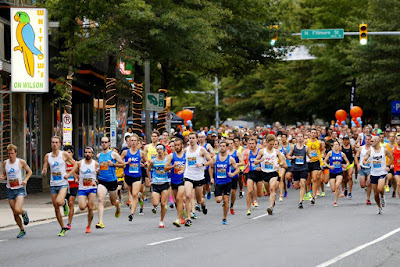 Davidson College graduate Daniel Samet will be making his half marathon debut after beginning his season with a strong 4th place finish at the Crystal City Twilighter. Cooke and Ban will be looking for solid efforts that will transition them to PR’s later in the season. On the women’s side, Julie Tarallo, Greta Stults and Amy Laskowske will toe the line. Stults will be making her GRC debut. Also, look for Amy Laskowske, a former All-American at the University of Minnesota and, more recently, Father’s Day 8k Women’s champion. A very strong Pacers//GRC - NB contingent will be testing their mettle on the streets of Philadelphia this Sunday at Rock N’ Roll Philadelphia Half Marathon. The women’s team features an all-start cast of GRC harriers. GRC record holder in 7 events and two time Olympic Trials qualifier Frances Koons will be making her highly anticipated debut in the half marathon. Stephanie Reich, who had a breakout spring season and currently sits 2nd on the GRC all-time list for the half marathon, will also be donning her GRC blue for the race. Joining Koons and Reich will be Kerry Allen, who holds the fifth position on the GRC all-time list for the 10 mile and marathon, and Frances Loeb, who will look to earn a large PR after a strong spring season. On the men’s side, Graham Tribble, Sean Barrett, and Chris Van Es will be racing in anticipation of quicker marathons later in the fall. 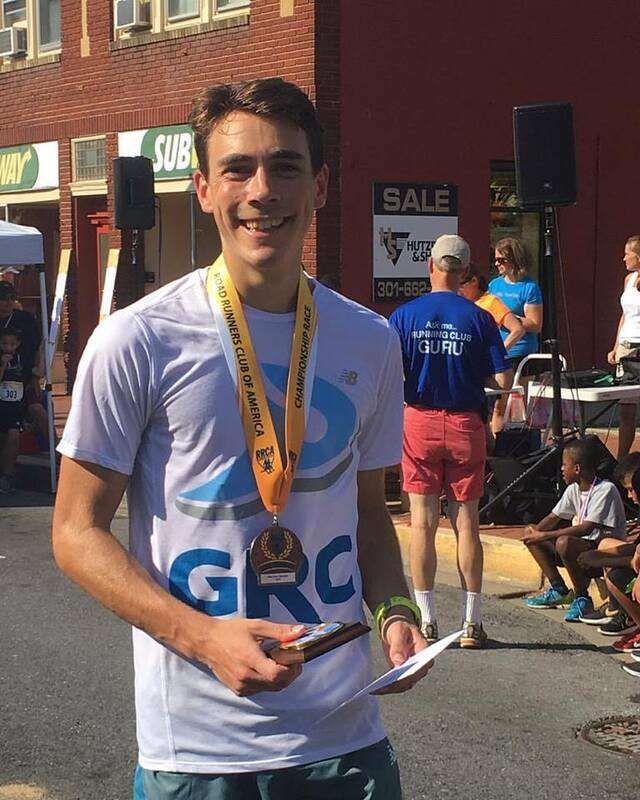 Tribble began his season 5 weeks ago with a victory in the Leesburg 20k and will hope for another strong performance this weekend. Van Es will be hoping to keep the PR train rolling after very successful fall and spring seasons. Barrett is hoping the race will set him up for a strong race later in the fall at the Marine Corps Marathon. 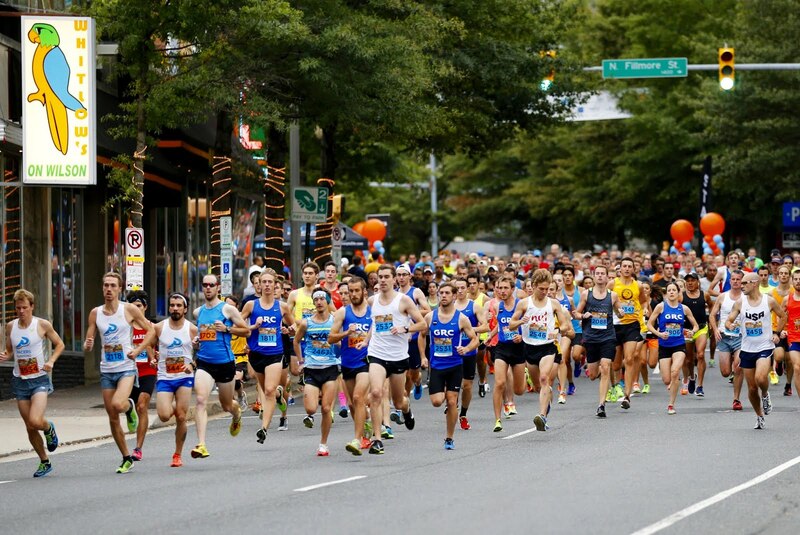 Pacers//GRC - NB will be well represented Saturday morning at the Clarendon Day 5k/10k with over 20 harriers toeing the line. The women’s 5k will feature Hannah Rowe, Maura Carroll, Shauneen Werlinger, Lindsay Bingaman, Chelsea Bollerman, and Elyssa Gensib. Bingaman, a former middle distance All-American at Shippensburg University, will move up in distance to tackle the 5k in her GRC debut. Recent University of Pennsylvania graduate Elyssa Gensib will also be making her GRC debut and hoping to match her success on the track to success on the road this fall. The men’s 5k will feature Matt Hassett, Ryan Witters, Kyle Wagener, David Wertz, Luk Olenginski, Greg Olenginski, Stewart Reich, and Patrick Kuhlmann. 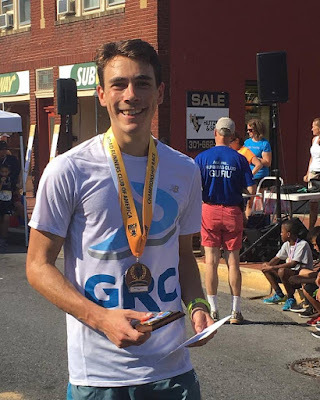 Though no GRC men will be making their debuts, keep an eye on Stewart Reich, who had a breakout spring season, and Ryan Witters, the fourth place finisher in the 2015 Clarendon Day 5k. The women’s 10k will feature Amy Nichols, Elena Barham, and Keely Eckberg. Barham, a 2015 graduate of Northwestern University and Academic All-American will be making her GRC debut. The men’s 10k will feature Carlos Jamieson, Zak Miller, Phil Royer, Stewart Reich and Patrick Kuhlmann. After qualifying for the 2016 Olympic Marathon Trials, Jameson will look to kick off another stellar fall season. Reich and Kuhlmann will de doubling back on tired legs after running the 5k, but don’t count these talented harriers out of competing for overall and age group prizes in both races. Controlled was the word of the day at the Parks Half Marathon. With temperatures in the 70s and climbing and a full slate of competitive races coming up over the next few weeks, Pacers/GRC - NB faithful were not looking for much more than a solid tempo effort. On the women’s side, Frances Loeb finished in 1:27:06 (6:39/mile) to finish 4th, which should give her some confidence as she looks forward to Philly Rock N’ Roll half marathon this weekend. In the men’s race, Paul Balmer turned in a respectable 1:14:40 (5:42/mile) to finish 7th and begin his season on a positive note. 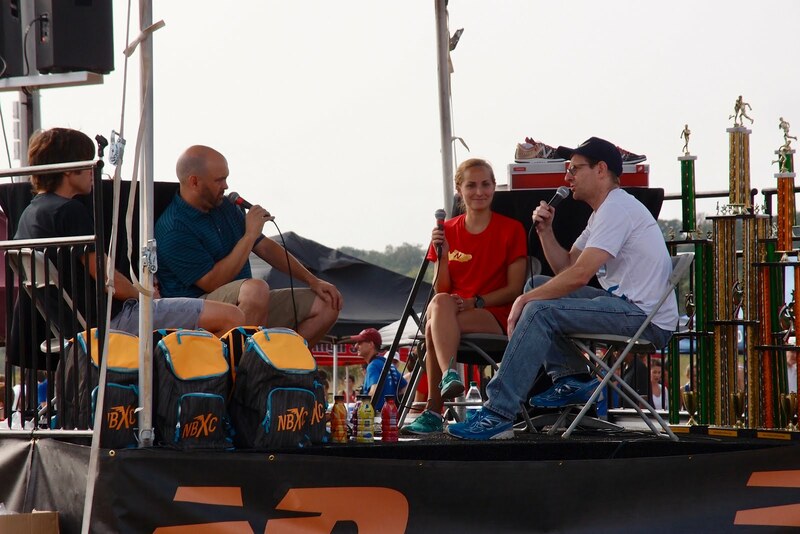 Pacers//GRC - NB superstar couple Stewart and Stephanie Reich took a few steps out the back door of their Frederick home Saturday morning to test their mettle at the Frederick Market Street Mile Run. Perhaps owing to their superior fitness and/or encyclopedic knowledge of the Frederick streets, the Reichs turned in two impressive performances in front of their home crowd. Stewart took the win in the men’s race, breaking the finisher's tape in 4:22. Stephanie crossed the line in 4:56, finishing second to Georgetown University graduate and U.S. Olympic Trials participant Rachel Schneider. Stephanie's time puts her second on the GRC all-time list for the road mile. GRC harrier Dickson Mercer and his wife Emily welcomed Henry Dickson Mercer V into the world on Thursday, September 8, 2016. Look for Dickson, a seasoned speech writer, to pen a lengthier, more eloquently written piece on this momentous occasion in the future. Until then, however, join us in congratulating Dickson and Emily! 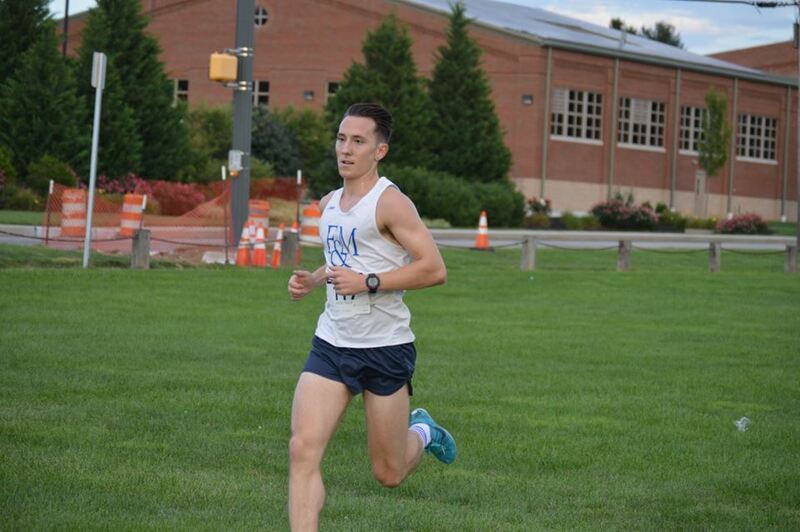 On a beautiful Saturday evening, Pacers//GRC-NB harrier Lukasz Olenginski drew the first blood of the fall cross country season in winning fashion at the Franklin & Marshall College Alumni 5k Race in Lancaster, Pennsylvania. Running alone after 2k, Luk ultimately crossed the finish line in 15:45, over 20 seconds before the second place finisher. A post-race attempt to DQ Luk for allegedly switching places with his twin brother halfway through the race was quickly rejected by race officials. Hopefully this victory is a sign of things to come for Luk and the rest of the GRC hopeful as they look towards the USATF XC Club Race in Tallahassee, Florida this December.